For playing Farming Simulator I have aquired some rather special gear. I use joysticks by Otto that has acually been mounted in a real forestry machine. The sticks I use are found in for example Rottne H8. 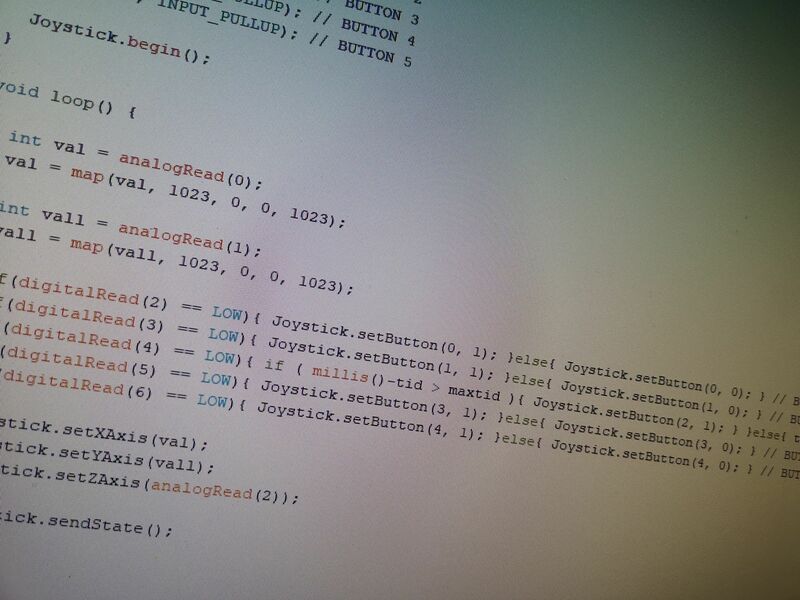 They have X and Y axis as a normal joystick. Also a Z axis on the thumb. In addition to that I get 5 buttons on the stick itself aswell. The sticks are in its original state. I have manufactured one adapter for each stick in order to get this to work with the computer. 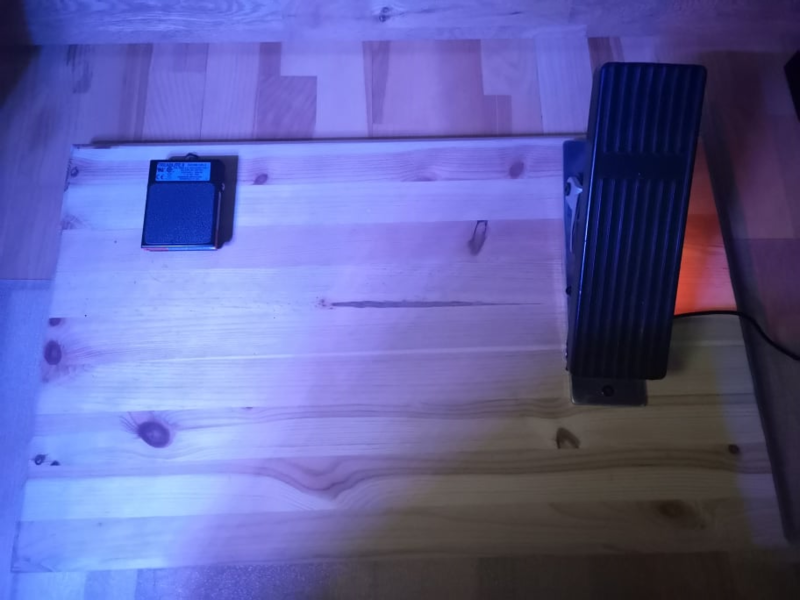 I also have some pedals from acual forestry machines too. I use the right one fo applying gas and the left "button"-pedal I use for instantly shifting the axis on the throttle so if I go backwards and press the "button"-pedal I start going forward instead until I release the "button-pedal". 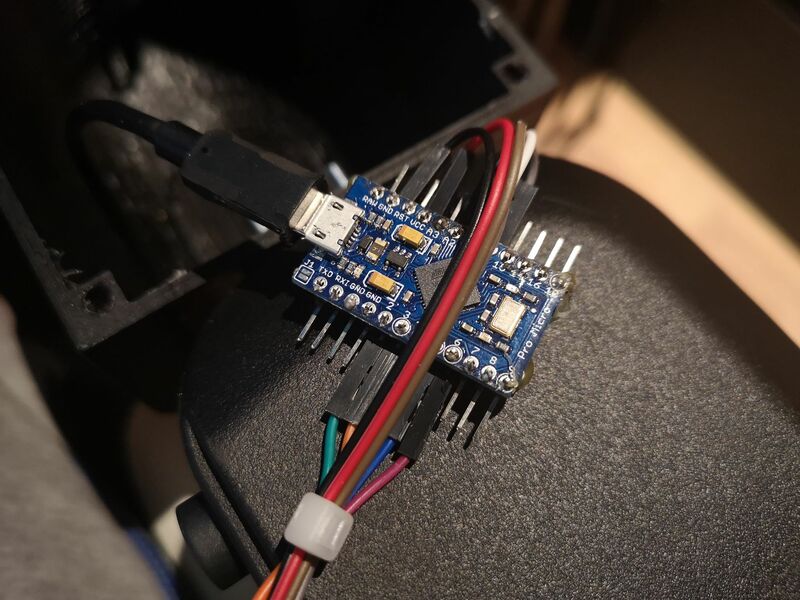 The adaptors are made from a curcuit board called Arduino. Its a simple to learn platform for electronics. I learned the basics and then I just stumbled forward and tried what worked. Eventually I was able to recieve the signals and then also send them through cable to USB. So what I do is recieving analog signals from the sticks and convert those to digital outputs that I then send in a way so the PC thinks its a regular Plug & Play Joystick. 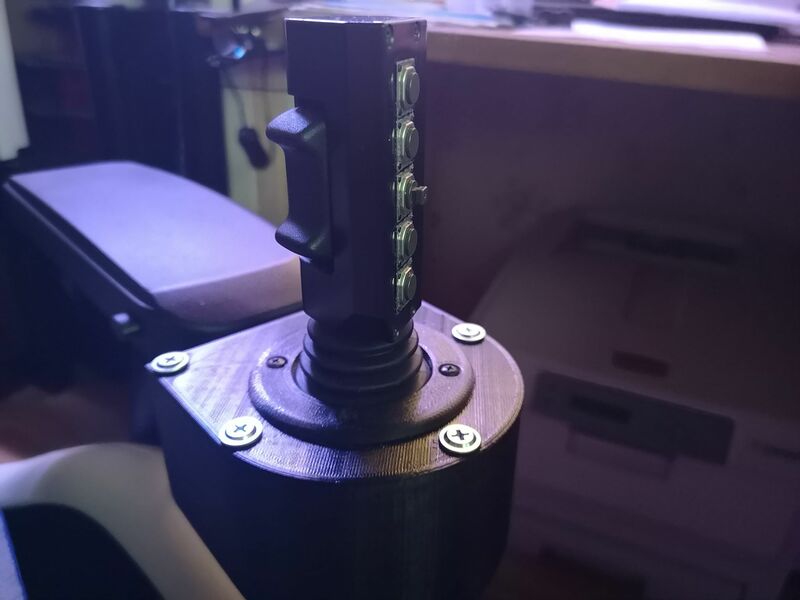 Except the sticks I have also made 3D printed holders for the joysticks to sit in and also for mounting on my DX Racer chair. Right now I have no speedmount for it so I need to bring out the screwdriver in order to mount/dismount it, but thats ok for me. 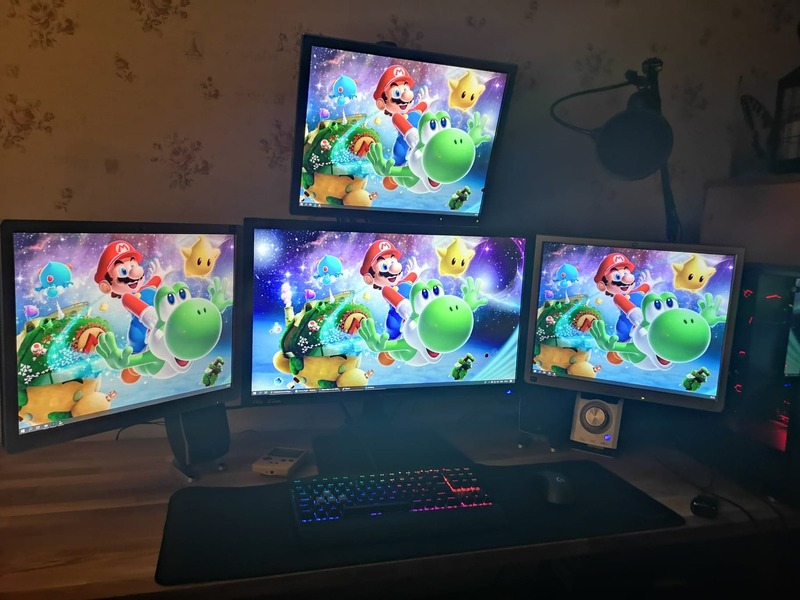 Its hard to estimate since I didnt keep track of time, but safe to say I have used more then 100 hours in order to polish this setup for it to be the best you can have for Farming Simulator.